If you are sending resumes to employers, you need to be sure you are also writing resume cover letters, too. Writing cover letters for resumes is not difficult, but it is necessary if you intend to make a great impression on prospective employers. Cover letters are an introduction to the resume. They explain parts of the resume that might need clarification, such as employment gaps. They start the selling of YOU before the employer even gets to read your actual qualifications on the resume. They build up your credentials so that the prospective employer is already interested in getting to know you better. 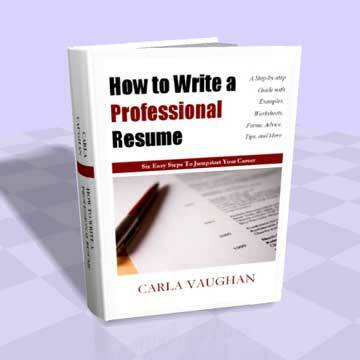 Some resume "experts" do not believe that writing cover letters for resumes is important. Other resume "experts" say that it is essential. One thing is for certain: It will never work against you. If an employer likes to read cover letters before reading resumes, then you are ahead of the other candidates for the position. If the employer does not care one way or the other, then you have lost nothing by including one. Description: How to create effective cover letters that get your resume read! A cover letter is a perfect opportunity to prepare and excite the employer about what they will find in the resume. Don't recite what is in the resume, but highlight certain elements of your qualifications and your accomplishments so that the employer starts to develop an interest in knowing more about you. There is one awesome thing about writing cover letters for resumes that makes them an essential part of your job search: you can target the job and the employer much better than by simply using a resume alone. The cover letter should be personalized and directed to each company in which you are interested in working. If possible, find out the name of the person to whom the cover letter should be addressed. Also be sure you spell his/her name correctly. When writing your cover letter (whether a cover letter for resume or a cover letter for job application), point out specific areas of the position that interest you. Explain why being employed by that particular company is of importance to you. When you add these elements into your cover letters, they will be read more thoroughly and you will be more likely to receive a phone call for a job interview. There are some people who say that the resume gets read first, then the cover letter. Others say just the opposite. For you, it will not matter as your resume and cover letter will both be targeted to the position you are seeking. It does not matter which one gets read first. Employers like to have both, so you need to provide both. Writing cover letters for resumes is what differentiates the best job candidates from the rest of the crowd. Yours should convince the employer to grant you an interview. You can be the success you want to be by working hard and making the extra effort.